Wishing you all a Happy Easter! Enjoy your day with family & friends celebrating His resurrection. 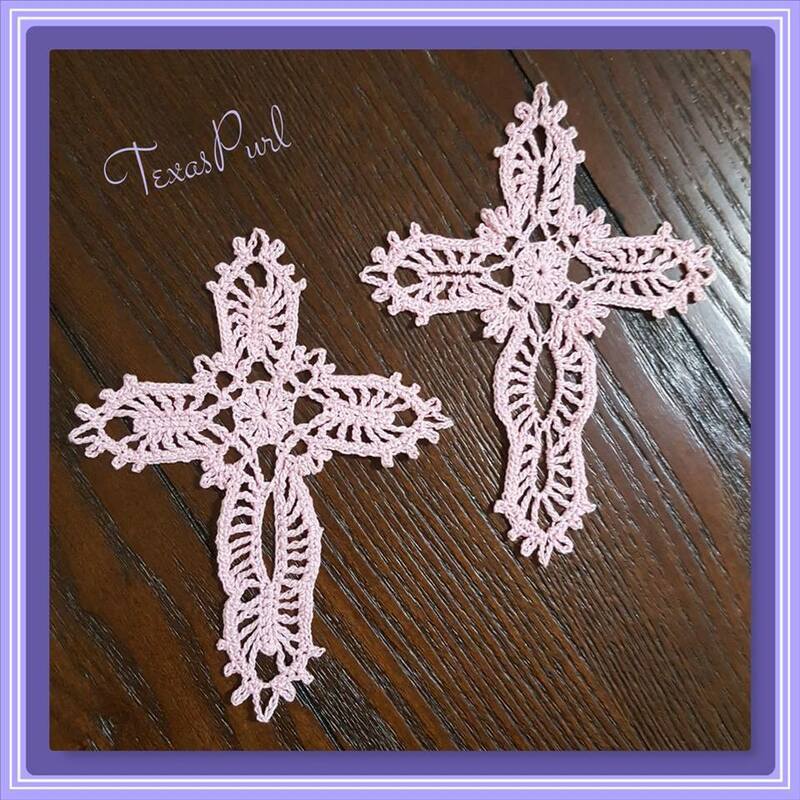 A couple of Easter Crosses I made for special friends. Thanks for your kind comment. There is no pattern...yet. I worked it in two different versions. Still need to write it down. I'll tag you when I do. I love these they are so beautiful you done a great job with these they are a work of art. If and when you get these patterns--please me know also! Thanks! It's done & it's FREE!!! I just ask that if you do complete the cross, please post photos of the project to Ravelry. Beautiful crosses and such a special gift to give for Easter. Hope you had a wonderful blessed Easter. I have a question about those frames you using for your pictures. Is there a site/program to get that? It's an app called Phototastic Collage. I had been using the free version and found it easier to use than most. Love it more since I paid for the full version.